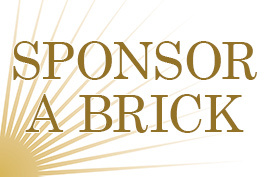 Become part of the very fabric of Kent - sponsor a brick today! 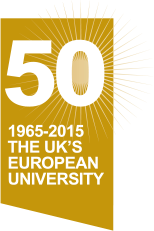 Hundreds of thousands of individuals have been involved with the University since its inception in 1965, from students and staff, past and present, to members of the wider community, and with them came an abundance of moments, experiences and memories. It is through these that the University has grown and developed over the past 50 years, and in recognition of this, we have created the Footsteps Project as part of our 50th Anniversary celebrations, an exciting opportunity to preserve and echo the memories of those who have made Kent what it is today: your University. 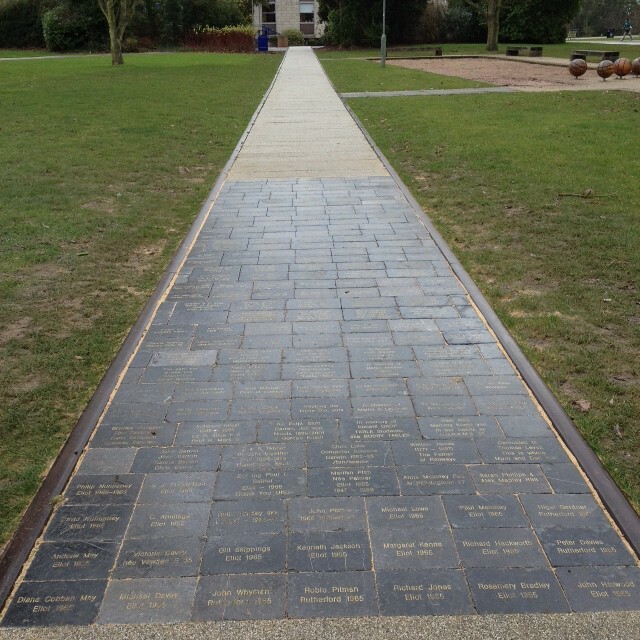 As part of the Project, you will have the opportunity to have your own personalised message engraved on a brick which will be set as part of the new Crab & Winkle Path alongside the Templeman Library. 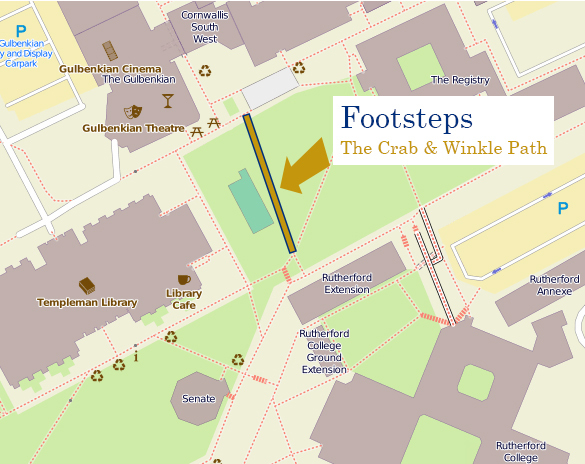 The path will be in the design of a railway line, commemorating the Canterbury and Whitstable Railway route (known locally as the Crab & Winkle Line) which ran under the University grounds below the path. Make your mark, say thank you, remember friends and loved ones, or just share a memory or a message for future generations at Kent! 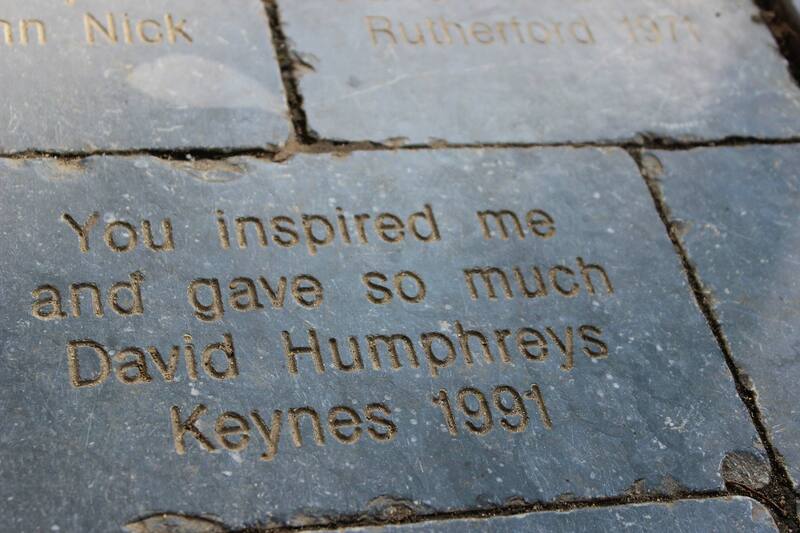 You can inscribe your brick with two lines of text for just £50 or, for four lines, £90 (16 characters per line). Your brick will be laid into our commemorative path as a lasting legacy of the 50th anniversary year, and your donation will support current and future students for years to come. Click the brick to find it! All money raised will go towards the Kent Opportunity Fund, which offers assistance to students at Kent by supporting scholarships, student projects and bursaries. Not only will the Footsteps Project show our pride in Kent’s past, it will also give an opportunity for our next generation of students to walk in the footsteps of those who came before them and inspire the future. Make your gift today! Donors who pay tax in the United States are eligible for tax deductions on their gifts to the University of Kent in America, Inc. through the Footsteps Project. Please donate online with JustGive and select “Footsteps Project” from the program list. Donors will be contacted by email regarding the text to be included on a brick (please note that there is a strict character limit of 16 per line, including spaces and punctuation). Donations can also be made by post. All funds raised by the University of Kent in America, Inc. through the Footsteps Project will go towards the UKA Scholarship Program.